Marcela Munoz demonstrates how new Instrata Elite works, and what benefits that brings for maintaining consistently higher quality turf surfaces. 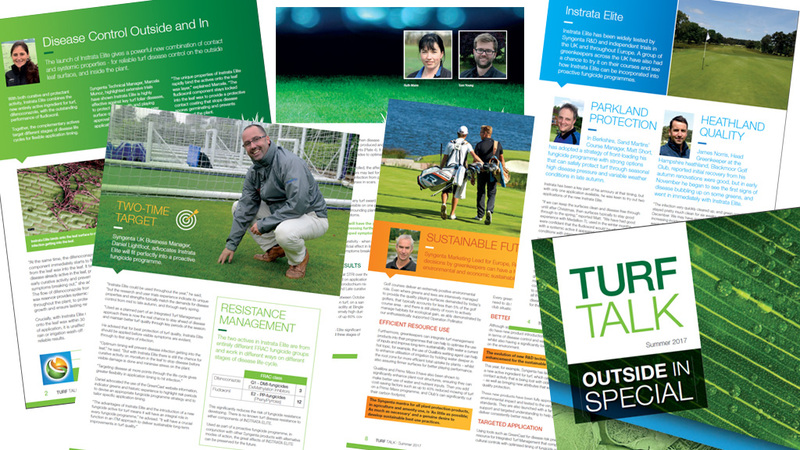 Greenkeepers and Course Managers give their views on how Instrata Elite has worked on their courses and where they see it fitting in the fungicide programme - including Matt Short at Sand Martins in Berkshire, Hampshire's James Norris at Blackmoor Vale and, in Yorkshire, Andy Stanger from Headingley Golf Club. Daniel Lightfoot looks at using Instrata Elite in the prgramme, including FRAC resistance management - and introduces his new Proactive Fungicide Planning poster. Rod Burke gives his view on a sustainable future for golf course management, including the introduction of new products and tools that could help assure the long term economic viability of clubs, along with celebrating the environmental achievements of Operation Pollinator Award Winner, Steve Thompson at John O'Gaunt.